A man died in a hospital parking lot in San Leandro on Sunday night after an apparent road rage shooting, according to police. Michelle Roberts reports. A man died in a hospital parking lot in San Leandro on Sunday night after an apparent road rage shooting, according to police. Police said officers responded to the area of Marina Boulevard and Verna Court shortly before 10 p.m. on reports of gunshots. According to police, while officers were responding to that area another call came in regarding a woman screaming for help from the Kaiser Permanente San Leandro Medical Center parking lot at 2500 Merced St. Upon arrival at the hospital, officers discovered a shooting victim in the driver's seat of a vehicle, and a woman, who identified herself as the victim's wife, along with other family members in the vehicle. Officers and emergency personnel attempted life-saving measures on the victim, but they were unsuccessful and he succumbed to his injuries. 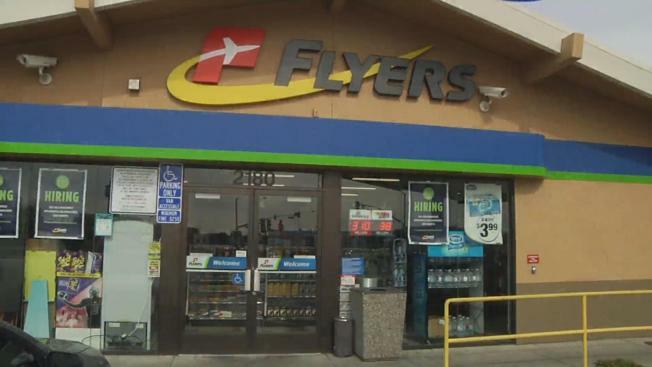 Investigators found evidence of a shooting outside the Flyers gas station on the 1900 block of Marina Boulevard, which is about a half-mile north of the hospital. Police said the evidence suggested several vehicles were in the area when the shooting occurred, and said the shooting may have stemmed from a road rage incident. The victim's identity is not being released pending identification by the Alameda County coroner's bureau. Anyone with information about the case is encouraged to contact Detective Mike Benz at 510-577-3230.